The September monthly Tallahassee Housing Report has been posted, showing that Tallahassee real estate supply and demand continues to move toward market equilibrium. 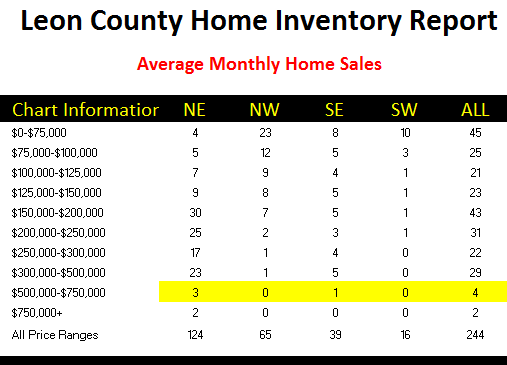 As a reminder, with that report comes a FREE downloadable one-page table that shows supply and demand by price range and area for all of Leon County, Florida. I encourage our agents to keep a copy on them at all times, as it is far more accurate for determining value trends than all of the online value estimates. 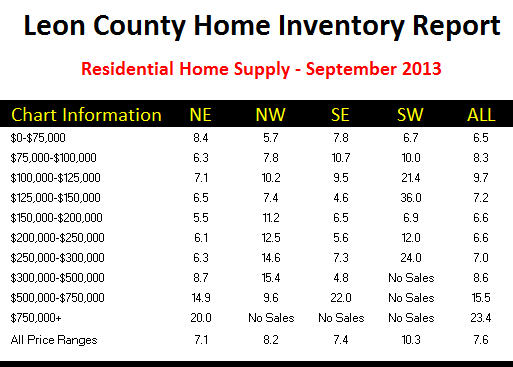 The following table shows a summary for the relative supply of homes for sale in Tallahassee. As a reminder, market equilibrium (balance between supply and demand) is generally accepted as 6.0 months of supply. Above 7.0 is a buyer's market, while below 5.0 months of supply is a seller's market. We now have evidence of price ranges in areas that have both buyer's markets and seller's markets. The following table shows the change in relative supply from September of last year to September 2013. Figures in red show a decline in relative supply, while figures in black show a rise. 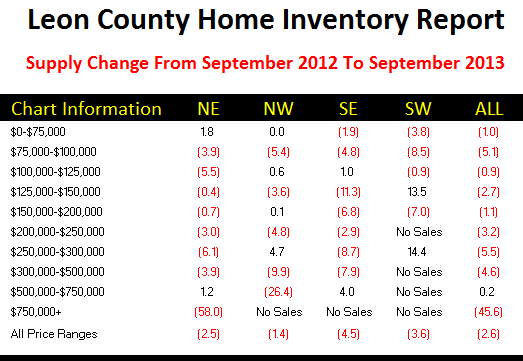 There is visual evidence of a real estate compression market in NE Tallahassee. Relative supply dropped for homes over $750K primarily to seller's reducing their prices and becoming competition for the price range below. Note how homes priced from $500K to $750K increased in relative supply. 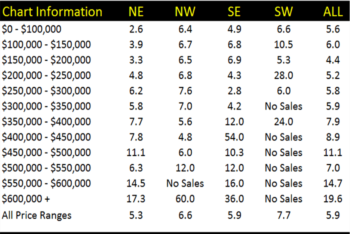 If you want to sell a home in Tallahassee and are curious about buyer activity (demand), just take a look at the table below. It shows the average number of buyers each month, by area and price range. Note: This does not adjust for seasonality, so these numbers will go up and down at different times of the year. If you own a home priced from $500,000 to $750,000, you need to acknowledge that there are, on average, only 4 buyers each month. That number was likely higher over the past six months (Summer) and will be slightly lower over the next six months (Winter). If you do not position yourself correctly in the market at this price range, you likely will not sell. 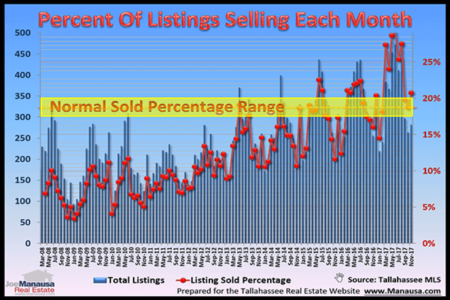 If you would like to know more about how to use these Tallahassee real estate supply and demand tables to strengthen your position in the market, just drop me a note and we can schedule a time to review your personal situation and needs.